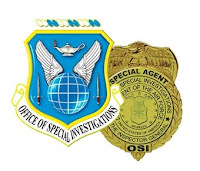 OSI, the Air Force Office of Special Investigations, was established in 1948. It reports to the Inspector General, Office of the Secretary of the Air Force. Its responsibilities include investigating crimes and counterintelligence. Click HERE for the official OSI web site. OSI's Mission Statement: Identify, exploit and neutralize criminal, terrorist and intelligence threats to the U.S. Air Force, Department of Defense and U.S. Government. A Front de la Libération Nationale (FLN) terrorist attempted to buy machine guns and pistols from an Airman near Ramstein Air Base, Germany. 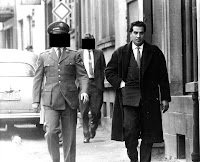 OSI worked with French and German police to capture him. 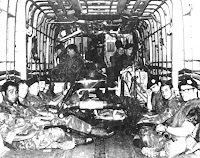 OSI worked in the 1980s to confront terrorists in Europe. Below is a German police wanted poster for Red Army Faction terrorists (Baader Meinhof gang) wanted for bombings and murders in Germany. 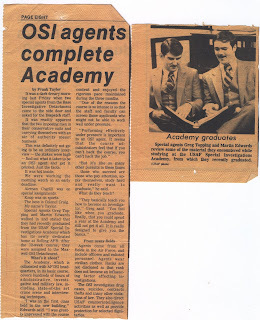 OSI Agents started attending the USAF Special Investigations Academy at Bolling AFB. 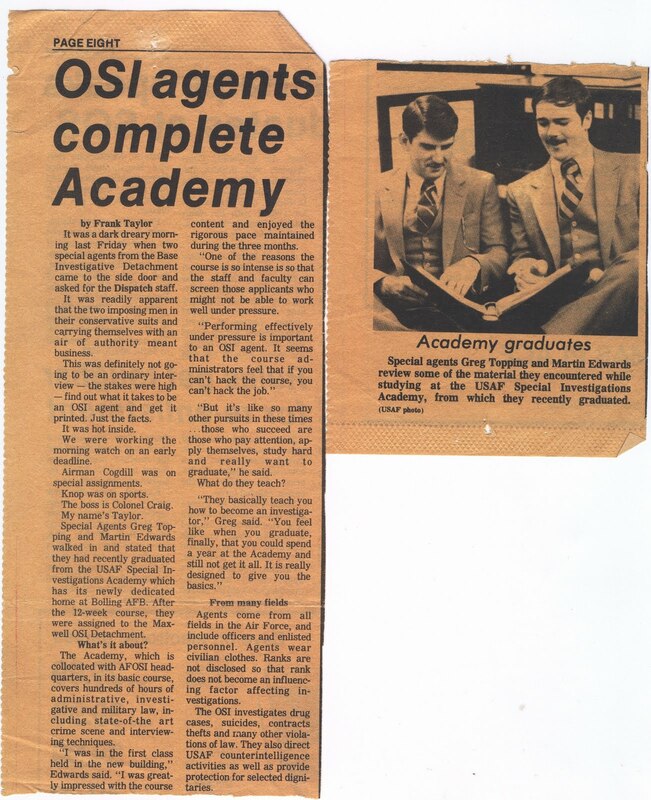 After completing the 12-week course covering law, crime scene investigation, and interviewing techniques, Special Agents are assigned to an OSI Base Investigative Detachment, within an OSI District. 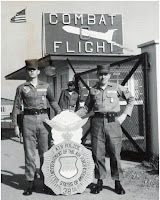 The "Eagle Eyes" program is an Air Force anti-terrorism initiative led by OSI. It enlists Air Force members and civilians in the war on terror. Click HERE for more information.